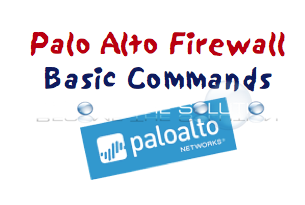 The following are command line parameters that can be run on most Palo Alto firewalls today. Show session table utilization and pipe the output to a match statement. Policies in Palo Alto firewalls are first match. Rules cannot be chained together, although negation is possible. FQDN objects may be used in a policy statement for outbound traffic. However, inbound statements with a FQDN object as a source IP address should never be used in firewall policies. Advanced monitor filters can be applied using conjugated filter statements. Show log traffic to/from 10.40.134.169 between 14:25-14:45. The test routing statement is useful when trying to determine the direction of traffic in the routing plane of the firewall. When running these commands, take note of the the interface traffic is routed towards. For example, default route traffic toward the outside zone should always point towards an external interface. Validate the route to 8.8.8.8 in the outside virtual router. Validate the outside router points towards the inside-vr for 10.17.8.1. Validate the default route of the inside virtual router. NAT policies can be checked using test nat-policy-match. Here, we check the outbound NAT policy for an inside client to outside client on TCP (protocol 6) port 80. The test command also applies to security policies in a similar manner as NAT policies. Validate SSL traffic is allowed from an inside client to outside server. Check ICMP “echo request” from inside to Google's DNS cache. The running security policy can always be displayed from the command line interface. Interactively view the applications crossing the Palo Alto in a `top'-like output. The same command can be used to view sessions. This is useful for monitoring concurrent sessions, throughput, etc.